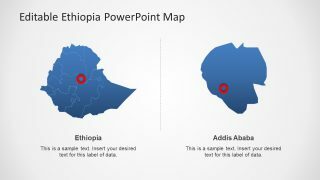 The Editable Ethiopia Map Template for PowerPoint is an inclusive presentation of African country. 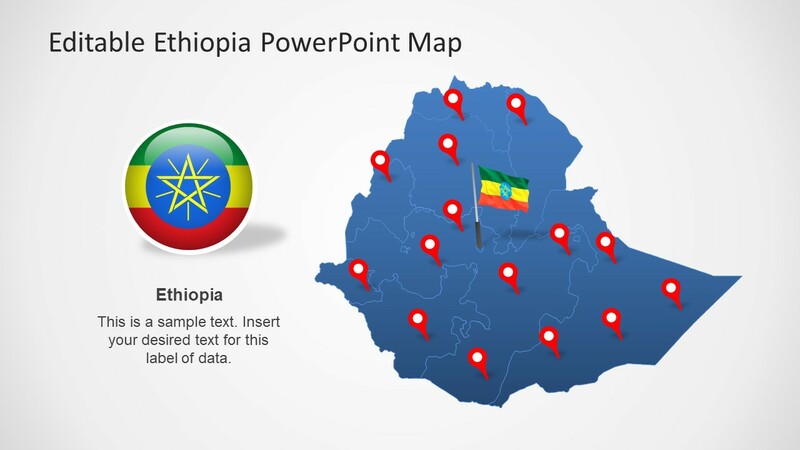 The PowerPoint contains 8 creative slides of Ethiopia’s map with amazing features. 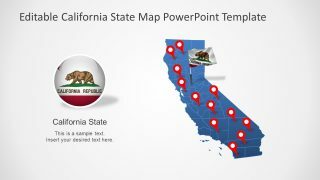 For instance, the template not only provides the design of country’s map but also offers 9 individual state clipart. 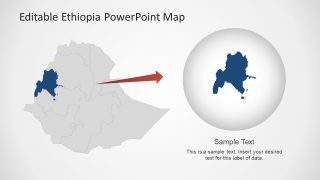 This PowerPoint template is suitable for discussing the demographics of Ethiopia. 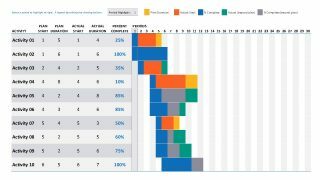 Similarly, along with the Africa Map PowerPoint, users can explain the topics relevant to the continent and its countries. The SlideModel has catalogue of maps has many geographic templates of Africa available in editable formats. These include, South Africa, Mozambique, Ghana, Egypt, Zanzibar, Kenya and more including the Middle East and Northern Africa. The comprehensive slides of the country are ideal for discussing demographics, diversity, business and tourism etc. 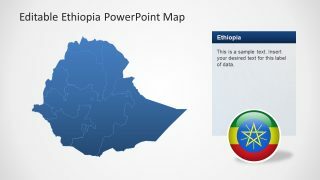 The creative and Editable Ethiopia Map Template for PowerPoint shows the boards of all nine states with a darker outline. These outline colors are changeable through the shape outline color pallet in drawing format menu. Similarly, the blue and gray colors of given map templates are also replaceable from the shape fill option. The Ethiopia map PowerPoint also contains several clipart icons to display the flag, flag button and location markers. 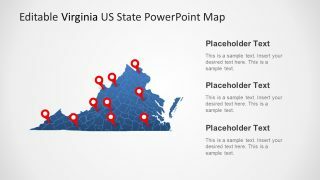 The editable map enables users to select the states, use the graphics in another slide. 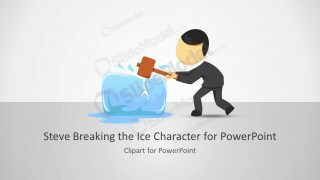 The Flat vector PowerPoint shapes are high resolution images and rescaling does not affect their quality. 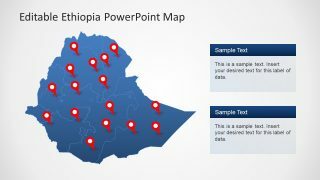 The incredible Ethiopia map template of PowerPoint present an easy to edit slides also highlights the capital city. 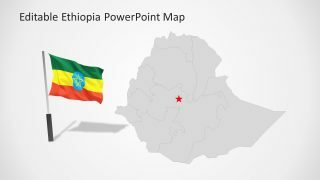 Ethiopia itself is one of the countries located in the Horn of Africa. This is the place of origin of coffee beans is also the cradle of culture which appeals to many tourists. 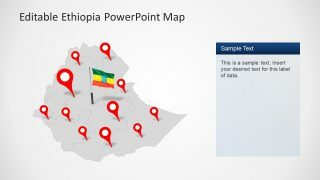 The Ethiopia map PowerPoint has a flexible design of outline states. 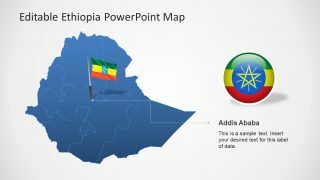 For instance, seventh slide provides an enlarge version of capital city Addis Ababa with the circular icon. The map also has version of location markers and flag as pins use to point a specific geographic location.